We guess there is no real after ski without a beer, especially a beer from the tap. 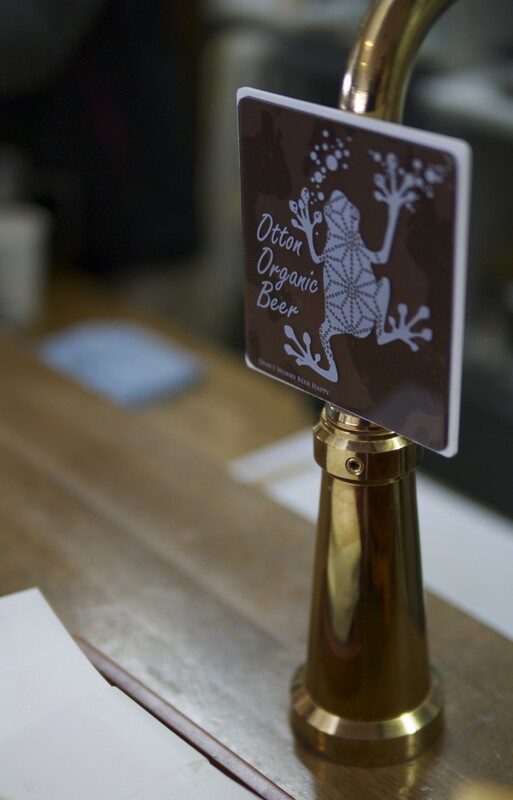 We wanted to offer our customers organic beer on tap and we chose Otton. Here are a few reasons why: Otton is a full scale craft brewery that uses only the finest organic malt and hops. Otton is brewed in Karuizawa, Nagano, close to us. All ingredients are carefully selected by the brew master and aged according to a unique recipe. The well balanced, smooth and easy drinking nature of the beer is attributed to the low temperature brewing process. The logo of the brand is using the Otton frog, the symbol of biodiversity. The frog specific to the Amami Islands in Ooshima. Otton means “huge” in Amami Island’s local language. Usually frogs have four fingers on their front legs but the Otton Frog has five. The fifth digit is a false thumb that encases a sharp spine which can project out of the skin like a knife. By naming the beer after the frog the brewery wanted to create awareness and to help protect the frog. The Otton frog is currently endangered due to deforestation, loss of habitat and introduction of the mongoose in the Amami Islands. We’d like you to enjoy your beer without forgetting about the diversity of nature. Try it and of course Kanpai!